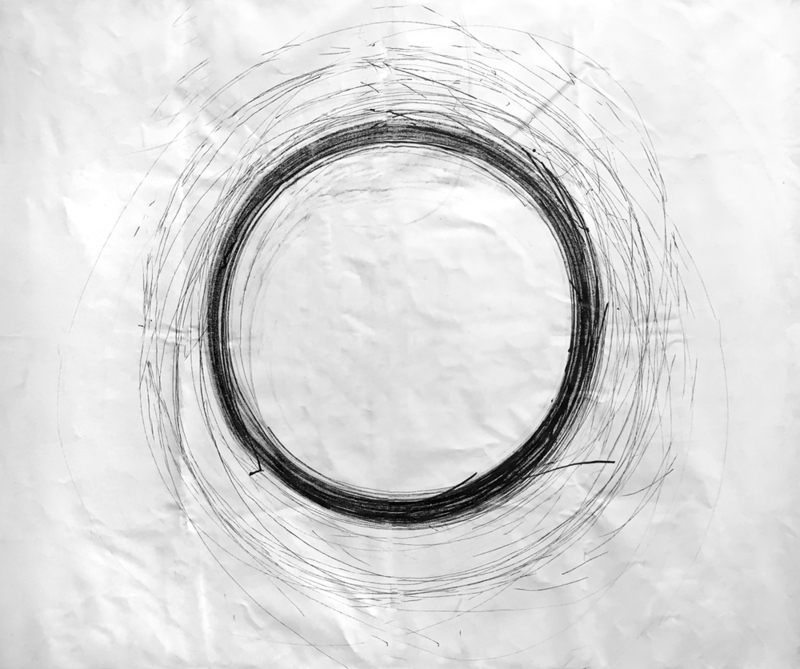 • This piece is a conversation between two fans one on the ceiling which is connected to the electricity and one installed on the floor with a brush attached to it. The two fans are not connected to each other physically. 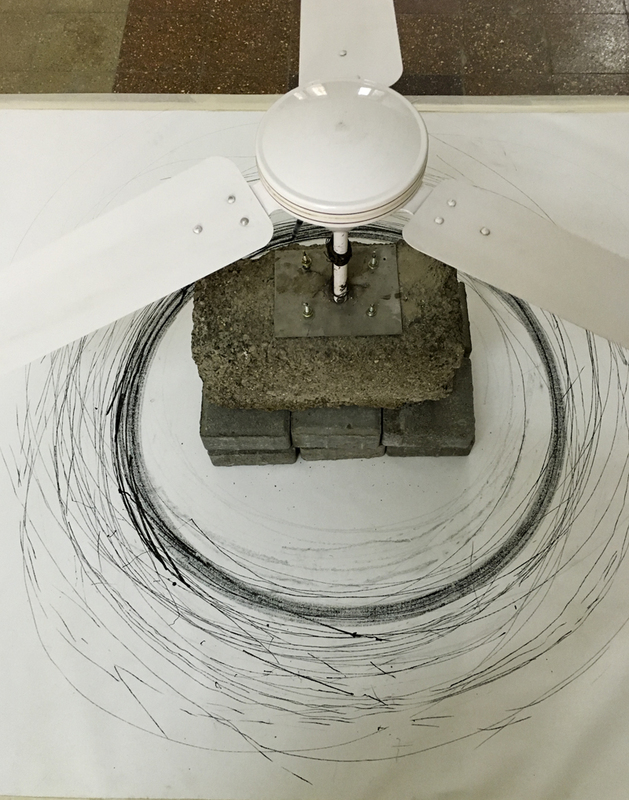 However The fan on top spins the air and as a result whirls the fan on the bottom, which in extension draws a line on the canvas underneath it.